Introverted Boss follows the story of Chae Ro Woon (Park Hye Soo), an outgoing and energetic extrovert. But behind her happy-go-lucky personality is a serious mission to reveal the truth behind how her sister Ji Hye ended up committing suicide at work. She finds her way into working for the very same boss her sister had — a PR agency executive named Eun Hwan Ki (Yeon Woo Jin), who is shrouded in clouds of mystery with a nickname of “The Silent Monster”. However, as we quickly learn, the truth is Hwan Ki is an extremely shy introvert, making it hard for him to communicate with other people. At the start of the drama, I find Ro Woon as a character to be somewhat abrasive. It seems that she’s supposed to be Hwan Ki’s foil, by being loud and brazen. However, some of her actions just comes off as overly exaggerated and even rude. But the drama quickly abandons this aspect of Ro Woon’s character, and she becomes a bit more down to earth, though also falling a little flat as a result. Hwan Ki is incredibly genuine and effective as a character. On the other hand, Hwan Ki is incredibly genuine and effective as a character, evoking sympathy and empathy for his emotional state of being. He has trouble speaking to others, due to severe anxiety issues and it doesn’t help that Hwan Ki’s family belittles his existence, further lowering his self-confidence. As a result, he has a tendency to overthink things, leading to numerous misunderstandings with those round him. However, despite his social flaws, Hwan Ki is a caring and selfless individual, with his true personality shining through a number of thoughtful moments throughout the drama. We’re also quickly introduced to several other key characters. 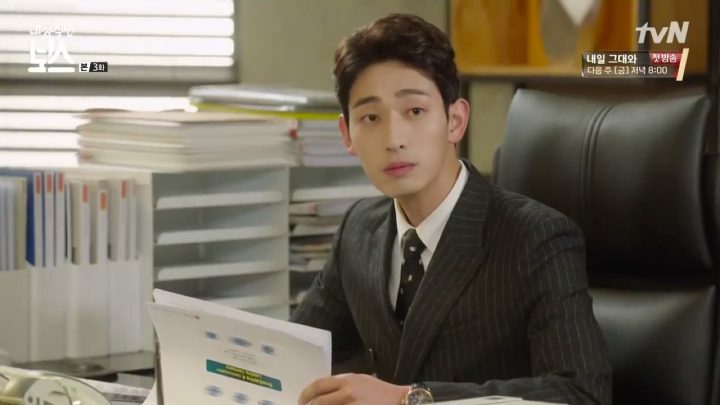 Kang Woo Il (Yoon Park), Hwan Ki’s business partner, was brought into the family by Hwan Ki’s father when he was young. He’s currently engaged to Hwan Ki’s sister, Eun Yi Soo (Gong Seung Yeon). 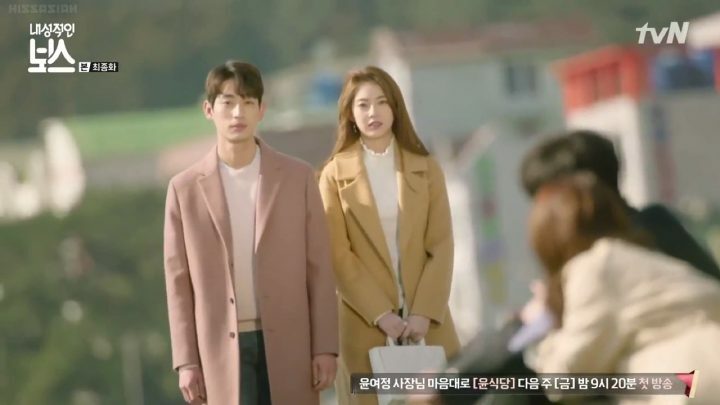 Woo Il is the warm and affectionate best friend to Hwan Ki, but his fiancee Yi Soo is yet another introvert suffering from mental illness initially induced by her father’s harsh emotional treatment towards her brother. Woo Il is apparently linked to Ji Hye’s death as we find out that he liked her, despite being engaged to Yi Soo. The back drop of the mysteries surrounding the dead sister felt a little misplaced for two reasons. Firstly, in a rom-com such as this, it came off as heavy-handed and didn’t jive well with the lighthearted vibe of the drama. 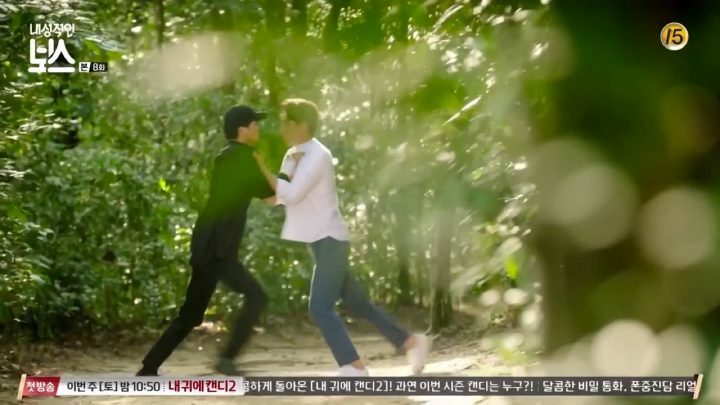 Secondly, the speed at which Ro Woon abandons her revenge once she realizes that Hwan Ki is a misunderstood good guy is too fast and convenient to be believable. Case in point, when Hwan Ki simply tells Ro Woon that he isn’t ready to explain what happened yet, she accepts without further question, even though her main objective has been fighting to know the truth this entire time. The back drop of the mysteries surrounding the dead sister felt a little misplaced. 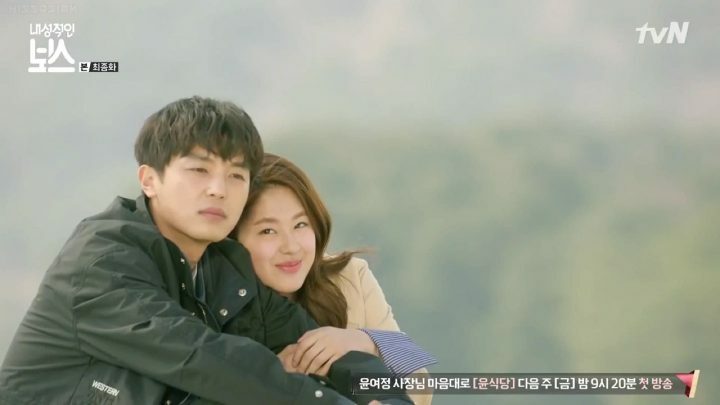 As the story of Introverted Boss progresses, we soon see how our characters’ relationships become entangled and more complicated over time. Woo Il and Hwan Ki’s friendship is put to test several times. 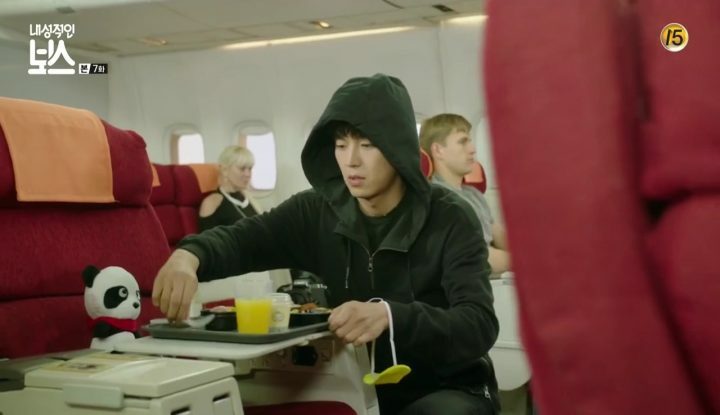 The first is with how Woo Il seemingly does everything for Hwan Ki, the second is with how Hwan Ki’s family seems to prefer Woo Il over him, and the third is over the trouble Ro Woon caused. They find out that Ro Woon told a reporter about her sister’s death, and how the company tried to cover it up. More than halfway through Introverted Boss, I realize that Hwan Ki is the only magic keeping the drama away from a lukewarm bore. Not only is he super compelling as a character, it’s also a pleasure to watch Yeon Woo Jin bring both his quirkiness and his miseries to life. There are a lot of cute moments focused on Hwan Ki that take the stress away throughout the drama, like when he spends time with his employees one on one, which gave us more insight into Hwan Ki and his team alike. However, while Hwan Ki is delightful as a standalone character, I’m having a hard time buying into the romance part of the drama. There’s certainly indications of romantic interest from Hwan Ki at this point, but the build up of his relationship with Ro Woon came off as overly contrived and unnatural. Perhaps the lack of authentic chemistry between the leads further contributed to this outcome. 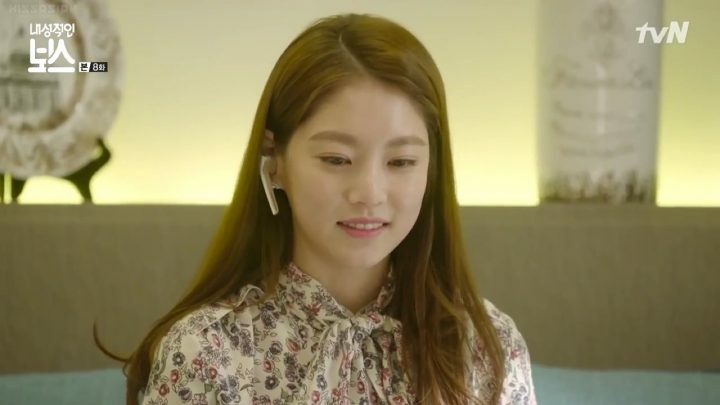 Towards the end of Introverted Boss, we finally learn the truth about what happened with Ro Woon’s sister and how Yi Soo, who has been hurting herself all these years, manipulated Woo Il into staying with her and played a major role in the series of unfortunate events. But when the truth comes out, the rest of the drama follows a predictable storyline to the T. Those you’d expect to be together get together, antagonists have a turn of heart, everyone’s quick to forgive and forget, and everything else easily falls into place. Sadly, the foreseeable nature of the script made me feel like I was just watching scenes go by, without being emotionally engaged or enticed. Overall, Introverted Boss failed to capture my attention the whole way through with its less than perfect writing and mediocre acting performances. 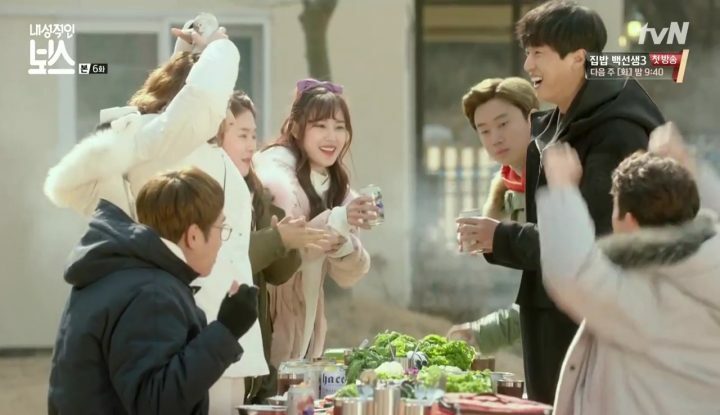 Although the drama contains nothing in particular to stand out from the sea of rom-coms within the Kdrama world, it does have its quiet and thoughtful moments that I appreciate, on top of a tragic yet lovable hero. I didnt like the lead actress. Very annoying and no chemistry with Yeon Woo Jin. Woo Jin was a delight to watch and did the part well.